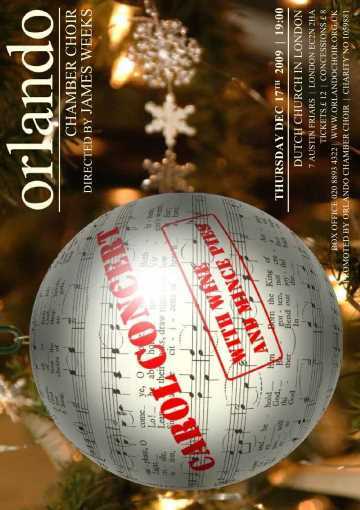 Orlando's traditional Christmas Concert, this year with a touch of Dutch - an evening of carols and Christmas music not only for, but also with our audience. Wine, mince pies and a raffle are included. Een kerstconcert om niet te missen!